Maquiladora Industry Distribution Center and Livable Community. El Paso is a key maquiladora distribution center location due to the extensive and deep commercial linkages that it shares with its cross border economic partner, Ciudad Juarez. The city is located at the approximate mid-point along the two thousand mile border that the United States shares with Mexico. It’s position as a maquiladora distribution center on major Interstate 10 facilitates the shipping of goods and commodities to and from the area. To the West I-10 continues from El Paso to Los Angeles, while moving eastward I-10 transits the Dallas-Fort Worth and Houston metropolitan areas and links with other routes to connect to El Paso to the U.S. Southeast. Interstate I-10 also merges to the north of El Paso, at Las Cruces, New Mexico, to with I-25 which goes northward to Denver to connect there with the central portion of the country. Beyond its importance as a primary maquiladora industry distribution center, El Paso affords border manufacturing plant executives the ability to work in Mexico, reaping the nearshore benefits of doing so, while living in the U.S. The SENTRI ( Secure Electronic Network for Travelers Rapid Inspection) pass system is a for “low risk,” high frequency border crossers, and provides special lanes that make ingress and egress to and from Mexico easy at busy border crossings. In 2011, El Paso registered the lowest crime rate nationally for cities with populations surpassing five hundred thousand residents. 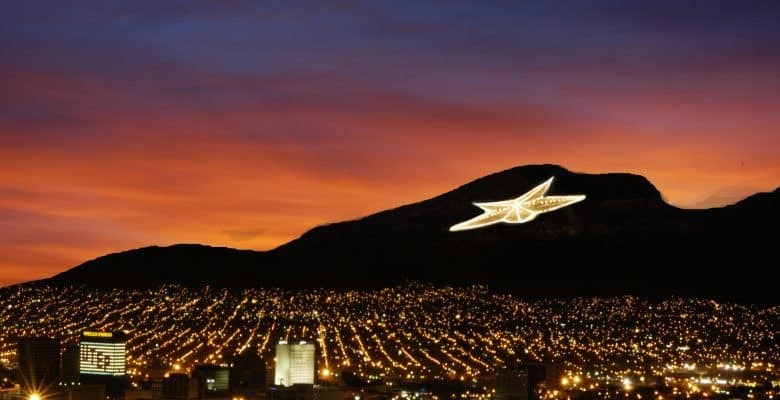 In addition to safety, El Paso offers its residents access to arts and culture, outdoor amenities, affordable housing, institutions of higher learning, as well as a cost of living that is competitive when compared with that of cities of a similar size. For sports fans, the city is home to AA baseball’s El Paso Diablos, professional soccer’s El Paso Patriots and NCAA football, basketball and other sports at the University of Texas at El Paso. Night time on the border. The lights of downtown El Paso in the foreground, and Ciudad Juarez behind. In early 2013, El Paso was named the "safest largest city" in the nation for the third consecutive year. The University of Texas at El Paso is ranked number 7 in the nation on social mobility, research and community service. El Paso, Texas is home to the "Medical Center of the Americas." It is the only medical research and care provider complex in West Texas and Southern New Mexico.